The City's Water and Sewer Department operates and maintains the water supply, including the water treatment plant, wells, booster stations, transmission lines, distribution systems, along with 24/7 emergency response and repair, meter reading, billing, water sampling and testing, line locations as well as performing predictive and preventive maintenance. The City has duly licensed, State-certified operators who are responsible for system operations and maintenance. 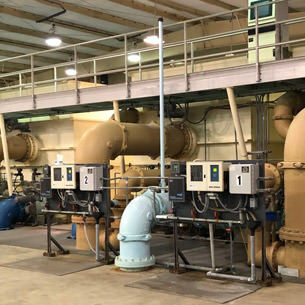 O’Fallon’s water system consists of a 6.0 million gallon per day, state-of-the-art RO/Membrane Water Treatment Plant with five alluvial wells. This water supply and treatment is complimented with four additional deep wells, three booster pump stations, high service pumps, four elevated storage tanks, three ground storage tanks and over 170 miles of cast iron, ductile iron, and PVC distribution lines.The system serves nearly 13,000 customers. For information on the Forest Park Water Main Project, please click here.